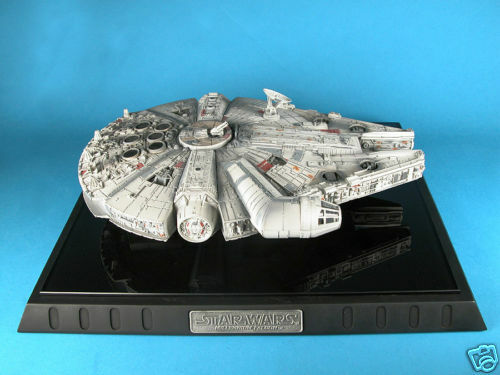 ← Master Replicas Studio Scale Millennium Falcon. Back in the day Star Wars collecting was always limited to the books (which are a must have) and a few figures (when i could find them and if i was in the mood to buy them). 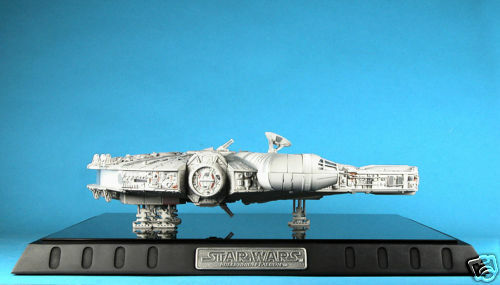 Back in 2002, I was bored at work and i did a random search for “Millennium Falcon” on the internet browser and came across the Code 3 Millennium Falcon model. It was made of 5lbs of metal, could be displayed in either flight or landing mode and had removable parts so that you can see some inside details. (That’s what the blurb said.) I was obsessed and got a friend to order it for me. 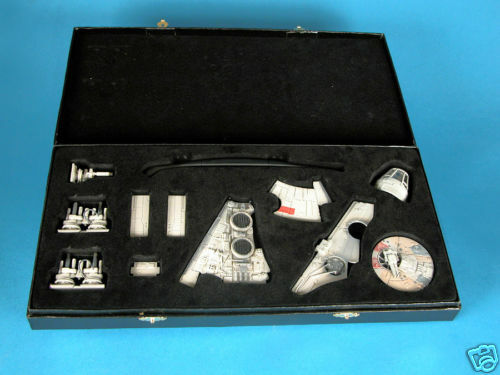 It was through this site that i found out about Rebelscum.com, Master Replicas and Attakus. and from here on, a massive gate just opened. I’ve been obsessed ever since. There were supposed to be 10, 000 of these according to their certificates. As much as i like these, i don’t think for one second that they sold out. I wonder how many they actually sold. This entry was posted in Code 3, High End Collectables. Bookmark the permalink. 1 Response to High end collecting starts here with Code 3.